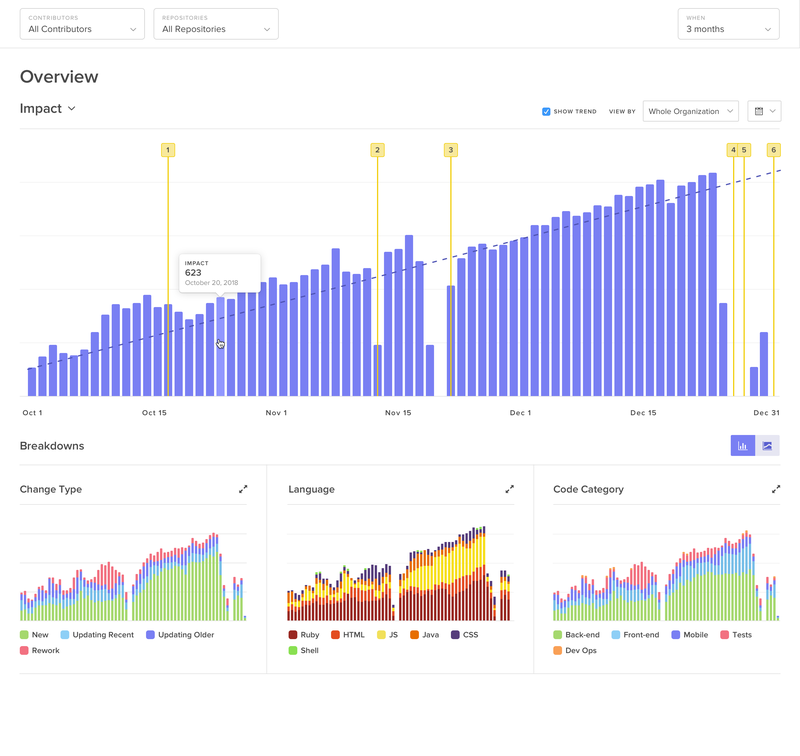 Velocity turns data from commits, pull requests and code into insights you can lean on and lead with. Spot risks and bottlenecks early, before they become big problems. Visualize your entire engineering process to inspire informed, meaningful conversations. Improve your team's effectiveness sprint-to-sprint, month-to-month, and quarter-to-quarter. Set up takes 10 minutes. No workflow changes.